How Does Investor Loan Drop Affect Real Estate? A: That’s a good question, Crystal. I did actually read that article in the Wall Street Journal myself. Remember that when you read an article, you want to just take it as a data point and then add it to other data points that you have. Preferably, you want to give more credence to the local data that you gather in the local real estate markets where you’re investing in. That’s really the most important thing as opposed to a generalized article about real estate investing. Remember real estate is a local phenomenon. I did read that article and obviously the number of short term loans (3 years or less) has gone down recently. You really need at least a year, though to look at data to see whether it’s a real trend as opposed to just a short-term blip. But there’ s a lot of hard money and private lending – a lot more than I’ve ever seen. So, the reduction in short-term loans may be that Wall Street is pulling back which I think is probably a good thing because that may be one of the reasons that prices going up so precipitously in general and they may be pulling back. But, I think the most important thing is that you keep your eye on your local real estate market you adhere to basic real estate fundamentals like buying right. So, in that article they talk about speculation in real estate which is something that you should never be doing anyway. You should always be buying property with a healthy margin of safety. I would take that article with a grain of salt. Focus more on the real empirical data that you’re gathering in your local real estate market and then make decisions based on that and also make sure that you focus on real estate fundamentals that will never change regardless of what real estate market cycle we happen to find ourselves in. 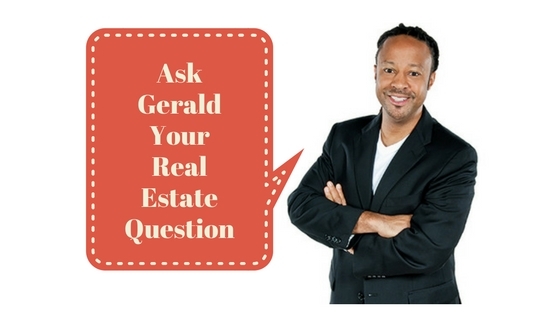 Thanks for your questions, Crystal.For more real estate information and tips visit my blog at geraldlucas.com.